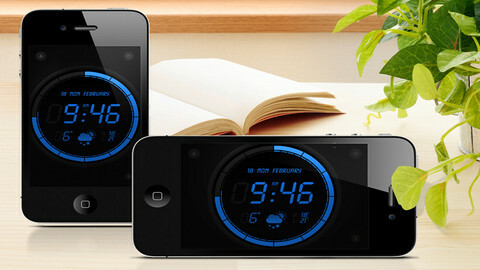 Wave Alarm is an iPhone app developed by Augmented Minds. Featuring a restful blue and black display, Wave Alarm is an alarm clock app that’s motion-controlled. Of course, you can change the color of the display if you really wish to. 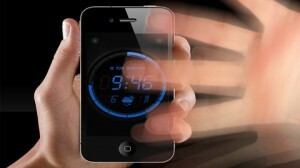 Pretty much everyone in my generation uses their phone instead of a watch or an alarm clock. 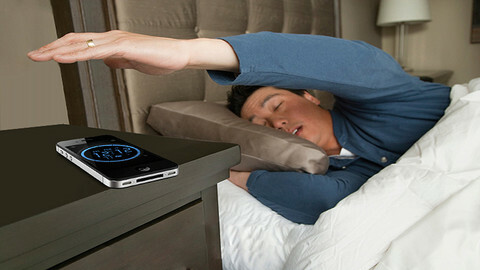 Sadly, not all of us are satisfied with Apple’s native alarm clock options. The developers claim, “No more fumbling around for your phone in the dark just to turn off the alarm, a simple gesture and Wave Alarm will silence or snooze it for you!” And those claims are pretty much true. Under “afternoon nap” conditions (ie some sunlight in the room), Wave Alarm responded to the wave control motion fairly quickly at arm’s length and while in hand. However, in a dark room, my hand-on tests found that the Wave Alarm app would not respond to motion controls. I could still turn off the alarm by hand, but not by gesture. The interface is really slick and lovely. However, I wish the settings retained that same sense of futuristic sleekness. If the menus and controls for Wave Alarm could be redesigned to use more sliding gestures and less tapping, it would really be a triumph of clock design. However, the features are robust. 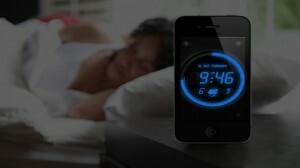 You can select one of 10 alarms, or play music from iTunes. There’s also a great deal of customization to be done in terms of how/if the alarm repeats, and when your snooze button will kick the alarm back on. Functioning as both an alarm clock and an early morning weather report, Wave Alarm is exactly the sort of app you want to stare in the face when you wake up. It may have some issues, but you should give it a try and see how you like it! Wave Alarmis compatible with iPhone, iPod touch, and iPad. Requires iOS 5.0 or later. This app is optimized for iPhone 5.